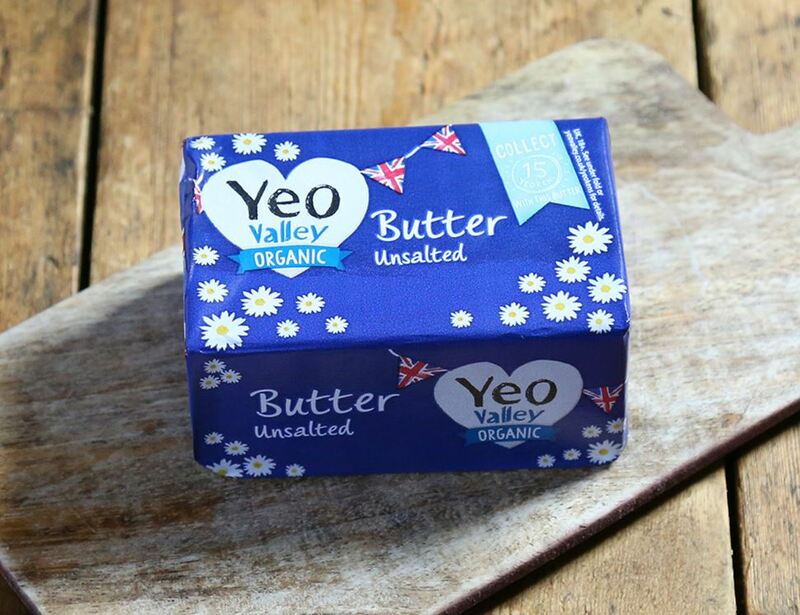 Yeo Valley’s organic unsalted butter is ideal for cooking, as it contains a slightly higher amount of butterfat than our Berkeley Farm butter. It has a lovely mild, mellow flavour and you can whip it up into brilliant cakes, sauces and pastries. Yeo Valley has been making yogurts since 1974, and made the important switch to organic yogurts in 1993, with milk from the Organic Milk Suppliers Cooperative. Since 1996 Yeo Valley have run a dedicated organic dairy farm in Somerset. It’s set in 28 acres of organic farmland, right next to the beautiful Quantock Hills. Milk* * = produced to organic standards. For allergens, including cereals containing gluten, please see ingredients in bold. Suitable for Vegetarians. Never store at room temperature as this can make the butter "rancid". Always keep it refrigerated and properly sealed in its own wrapper as this ensures a prolonged shelf life. Always remove from the fridge about 20 minutes prior to using to ensure it spreads. It is suitable for home freezing.